Born of volcanoes, Guatemala has emerged as the star of Central America and offers diversity enough for everyone from bird watchers, to adventure sport enthusiasts, to history buffs. Guatemala offers a vibrant diversity of jungle landscapes, classic colonial towns and famous indigenous markets. 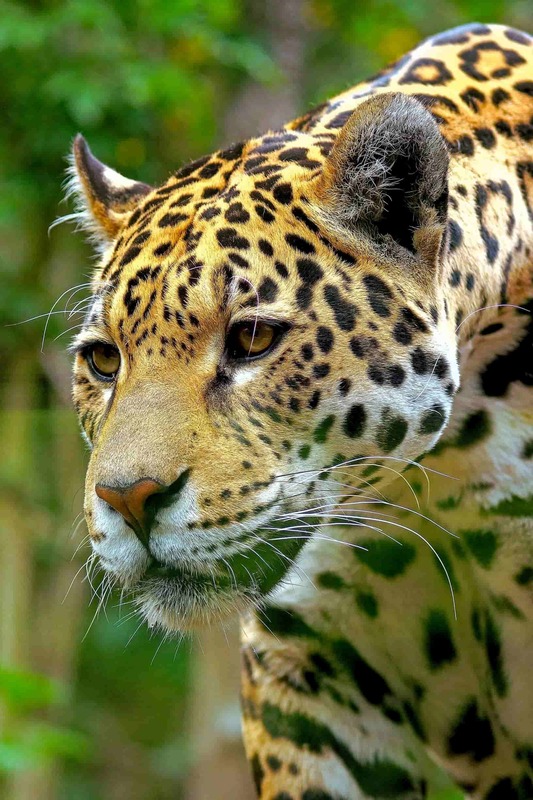 Some regions remain utterly wild and free, while others were developed by early Mayans. The earliest Maya civilizations began to emerge in the highlands of Guatemala by 2000 BCE. By 250, the Early Classic Period, great temple cities of pyramids and plazas rose. They left behind dramatic, inspiring and important archaeological sites such as the magical temple city of Tikal, which rivals the world’s other grand pyramid sites. In addition to the remarkable architecture, the Maya also developed a complex calendar, a hieroglyphic writing system, and an impressive body of scientific knowledge. 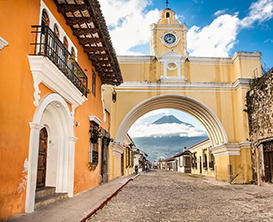 Guatemala also offers vibrant Spanish colonial towns and stylish cities with art galleries, museums, shops, restaurants, quaint bars and cafes. Add stellar nature experiences such as a helicopter for an overflight of six different volcanoes en route to Lake Atitlan, and glamping at Uaxactun Mayan ruins – an overnight stay in the ruins in the comfort of your own private camp with candle-lit dinner. Fish, trek the jungle, snorkel and more. Fascinating landscapes, flourishing cultures and plenty of adventures make Guatemala a stand-out destination. The sky was cobalt blue that day. I had been climbing all over Tikal’s cool stones like a kid in a playground. I crawled through spaces almost too small for me and ended up in dark dead ends. I scaled the tall stone steps that lead from one platform to another. Later in the day, I wandered off from other people and turned a corner to find myself alone on the backside of a partial stone edifice, eye to eye with the thick forest canopy. I sat on the edge of a stone and exhaled. Relax, I told myself, take it all in. The human voices had moved away from me, so I could hear a small breeze flutter the leaves. In the next moment, a howler monkey began his deep rolling bellow, followed quickly by another some distance away and another until the chorus seemed to wrap around me and roll through the entire jungle. To this day, the sound of that extraordinary song has never left me. Guatemala offer a vibrant mix of wild volcanoes to hike and jungle rainforests to explore as well as historic colonial towns such as Antigua and staggering archaeological sites such as the magnificent Mayan site of Tikal. Close to home, yet excitingly different, Guatemala makes for a wonderful getaway or a full out vacation.